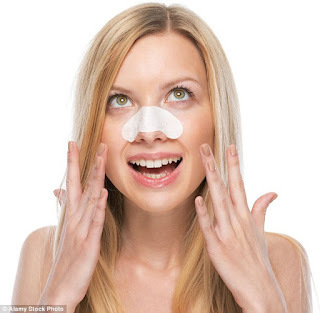 BEAUTY TIPS -YOU CAN GET BEAUTIFUL LOOKS NOW AT HOME WITHOUT GOING TO PARLOUR. Getting a beautiful and glowing is dream of every human beings. But in this type of pollution and climate it is very difficult to get a beautiful face at home without any parlour. But now its time to say bye bye to all cosmetic products we buy to get a beautiful face and try this method soon. Take a tomato and squeeze its juice in a bowl, now take 1 spoon honey and mix it nicely. Apply it on your face and keep it for at least 20 minutes and after that wash it off with normal water. Do it daily, after 1 week you yourself will notice a difference. 2) Take 1 or 2 slices of banana, mix it with 2 spoon of Gulab Jal and apply it on your face, leave it for 15-20 minutes. Do it daily for clear skin. Take one drop junior oil, one drop sandal wood oil, one drop coconut oil. Mix them nicely and apply it on infected areas. With loose hand massage your skin and then take a cotton ball and remove blackheads. 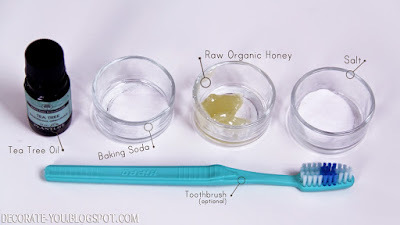 2) Take one spoon salt and half spoon of honey, little bit baking soda and one table spoon of tea tree oil. Mix it nicely and apply it on your infected area, and do a scrubbing of it. After 5 minutes wash your face you will see as difference.